It is essential that inspections are carried out regularly on high rise and multi-storey buildings in order to ensure the quality and safety of the materials and maintenance work. Inspections will check the materials and the structure of the building, and it is a good idea to carry out an inspection before any maintenance work takes place to assess what repairs are needed. Apex Access Group are able to carry out inspections of your office building or residential building to ensure that they are structurally sound and safe for the people using them, as well as to ensure that no problems develop and that any existing issues don’t escalate. Our highly skilled and experienced working at height team use rope access, MEWP (cherry pickers) and abseiling equipment which means that we are able to get to those hard to reach places and complete the inspections safely and efficiently, reducing the costs and risks that can sometimes be involved with this type of work. Our working at height team will ensure that the disruption to the owner of the building or structure is minimal without compromising on safety – there is no need for traditional ladders or scaffolding which can delay projects and be expensive to assemble. 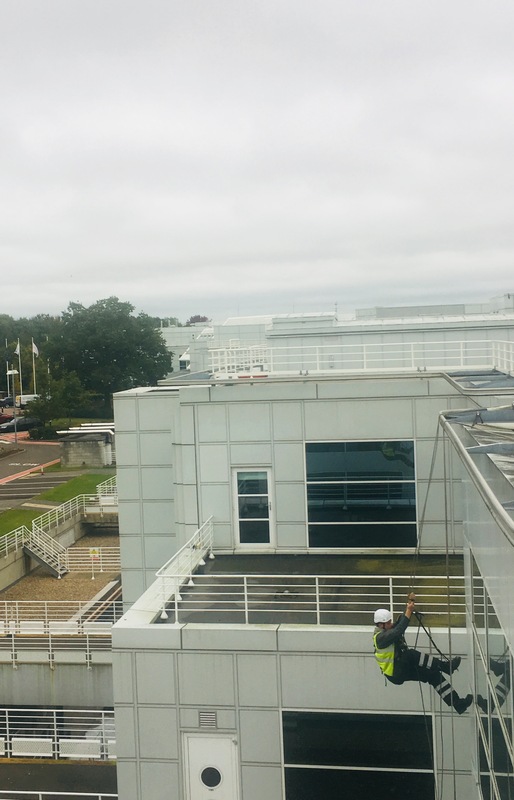 We are able to offer our services all over the UK so, no matter where your building is, we are able to carry out rope access services professionally and efficiently. Apex Access Group are able to offer a variety of assessment services including building inspections, photo and video inspections and full building surveys to ensure that your property is safe. A detailed inspection report is provided, detailing the findings.